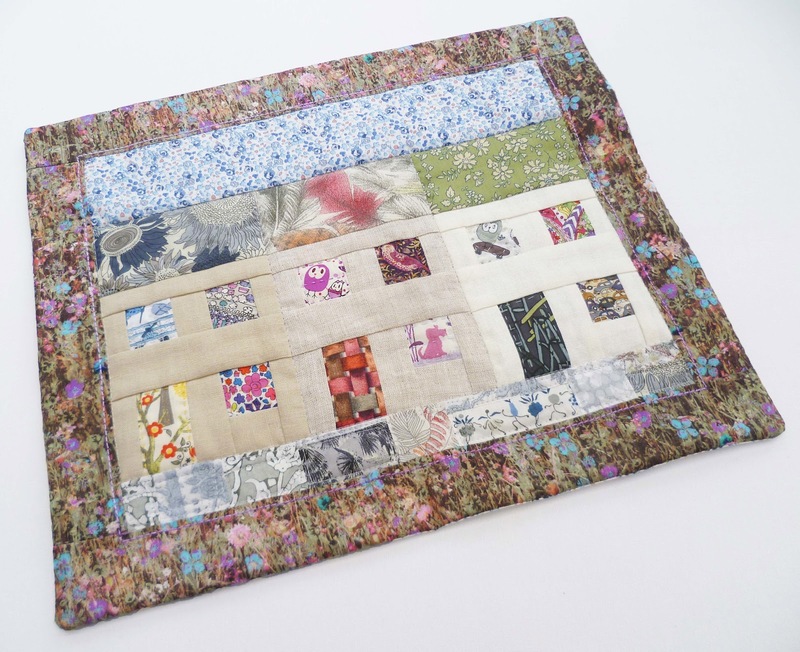 Nova and Jo have been hosting the Liberty Scrap Challenge all through 2012 showcasing beautiful projects and tutorials featuring Liberty lawn. The master list is here, a great resource with the gift making season upon us. October is my turn and I just snook in on the last day of the month! I wanted to do a foundation paper pieced design as Liberty lawn is an amazing fabric to piece with. It has strength, vibrancy, and print variety whilst being incredibly lightweight and reducing bulk on seams. 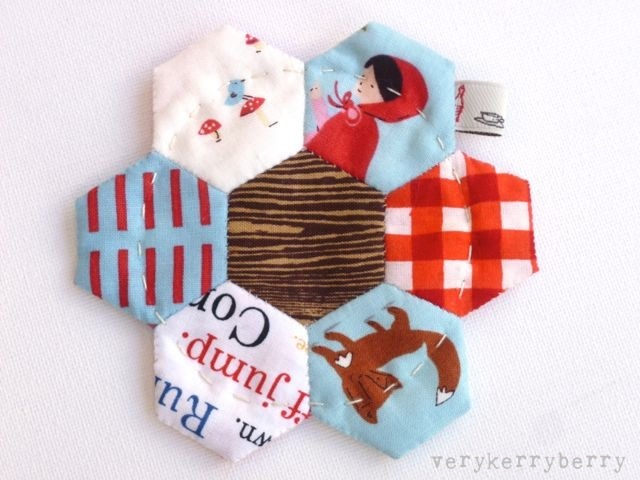 Any of you who have paper pieced with linen and dealt with the humps and bumps it creates surely know what I mean! 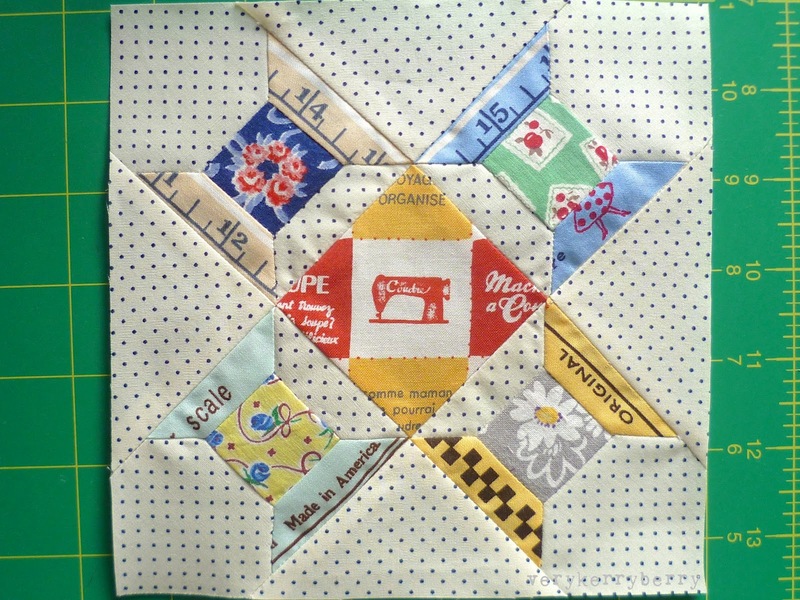 I have kept the design simple, suitable for a first time paper piecer and you can foundation or freezer paper piece. You can find beginner resources here and at Sew-Ichigo and there are a wealth of videos on Youtube. Techniques can vary but the principles remain the same. As all these pieces are square/rectangles it makes for an ideal project to learn basic paper piecing an conquer any fears. If a mini is not your thing, the house block could be used to make multiple terrace rows or just singularly for a little zip pouch. Home pattern sheet: To print correct size, open link, look for print icon top left corner and check 'actual size' is ticked. Liberty lawn print for border: 2 strips 2"x 9 1/2", and 2 strips 2" x 14 1/2"
Finished size 11 1/2"x 14"approx. 1. Print pattern and cut out pattern sections A and B allowing 1/4'' around both pattern pieces for seam allowance. 2. From your Liberty Fabrics fussy cut 3 windows 2" x 2" and 1 door 2'' x 2 3/4''. The finished windows will be 1" x 1" and the door 1'' x 1 3/4''. I have allowed a generous seam allowance for pre-cutting the fabric which is often a good idea for paper piecing. 4. Join section A to B. Remove paper, press seam downwards. 5. Repeat steps 1-4 to make 2 more houses. 1. Print pattern. Lay waxy side of freezer paper on top and trace with fine permanent marlier, e.g. Pigma Micron 01. 2. Cut out section A and divide int o separate pieces. Freezer paper will be ironed to the reverse side of fabrics. You will need to add a 1/4'' around edge of freezer paper when your cut the fabric out. 3. Join pieces in numerical order. Once section A is complete, repeat same process with section B. 4. Join a to B. Remove paper which can be reused for further houses. Press seam down. 1. Join houses together in a row of 3. 2. 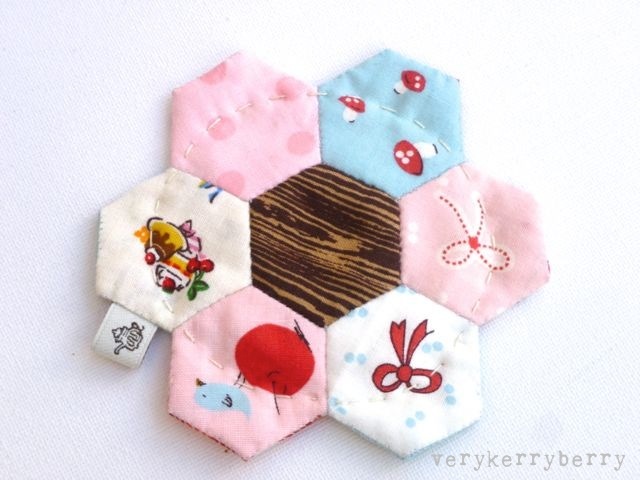 To create a path/pavement: Randomly piece small Liberty scraps that are at least 2'' wide. You can improvise here. Trim to make a strip 1 1/2" x 11 3/4". Stitch to the base of the houses. 3. Add a 2 1/2" x 11 3/4" blue Liberty strip for the sky. Stitch to above roof of houses. 4. For border, add 2 strips 2"x 9 1/2" to sides of mini quilt. Add 2 strips 2" x 14 1/2"
5. Press and baste or baste spray to batting. 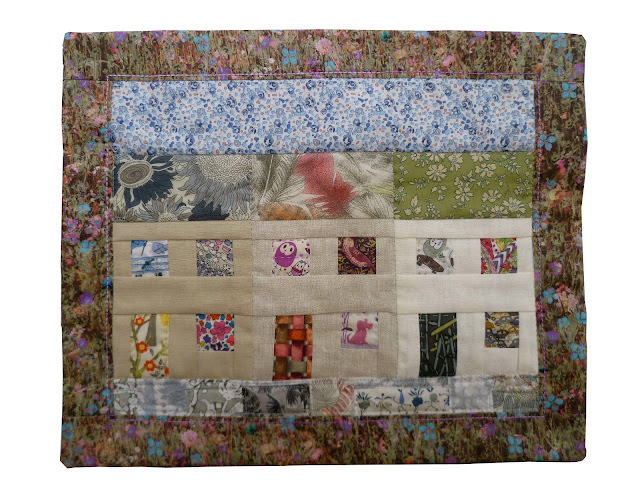 Hand quilting can be added at this point. 6. Trim excess batting. Place on lining, right sides together, and use as template to cut lining. Keep mini quilt and lining right sides together and stitch around edges using 1/4" seam and leaving a 4" opening to turn through. Turn through, press and slip stitch opening closed. You can add stitch-in-the-ditch quilting to hold the layers together e.g between the houses. Bury the thread ends. 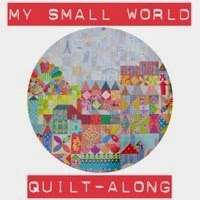 Your mini 'Home' quilt is complete! Giveaway in exchange for a tutorial! worry you wont be expected to post a tutorial until next year! You are of course welcome just to comment normally without an idea so I don't feel too lonely in this post! 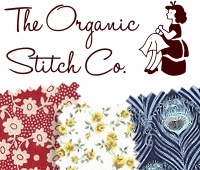 Giveaway winner was Sara, congrats to her and Mama Said Sew FQs are on their way. Thankyou to Jessie for the giveaway prize. I had the quickest of trips to London at the beginning of the week, just over 36 hours, 4 exhibitions, and the company of my younger brother. I was nervous about train travel, I am over the labyrinthitis but every now and again it creeps in, I don't know if it is actual or psychological but it has made me a little fearful especially when travelling. I got there OK, with the help of David Sedaris . The weather was grey and damp and the photos are mainly from my phone but what we saw was dazzling. We walked from Marble Arch into Hyde Park and along the Serpentine. The parks in London are such a treat. They are so vast and even with the traffic close by they are peaceful calm places packed with history. It was foggy, in the distance is Hyde Park Barracks and to the right is the Diana Memorial Fountain. We headed for my favourite London attraction, The V and A. I have been here many times now, usually for a specific exhibition or just to wonder and I can return back again and again. There aren't many places inside where you can take pics, this photo is from the corridor to the ladies loos! Are main focus was the new Hollywood Costume exhibition. It did not disappoint. It was truly one of the most involving and emtotional exhibitions that I have ever seen. It is not just the iconic film costumes- and they are fantastic, it is the curation and presentation of the whole experience. Five years in the preparation, it is a sight and sound extravaganza. Usually I wander in and out at exhibitions, taking in a bit here, a bit there, reading some of the info, passing the duller sections. This exhibition is different, it grabs you fromt he second you walk in and it feels like you are on a film set, there is darkness, light, stirring film music, prejections and the most amazing projections and animations. You can read a great account here and see photos that give you some idea of the experience and a different account here with more pics. Seeing the original Ruby Slippers at the end felt like a beautiful ending. If you get a chance, go. It is a ground breaking and magical exhibition. We also took a look at the Ballgowns exhibition but after the Hollywood Costumes they seemed a little pedestrian. Then a hike over to Pimlico and Tate Britain. The annual Turner Prize is currently on display. there a 4 artists featured including 2 film installations. The only work that really captivated us both was Elizabeth Price's The Woolworth's Choir of 1979, a haunting film with repetitive images and sound. It grabs your attention and leaves you wondering what just happened. Then on to the Pre Raphaelites:- ever popular and enjoying another surge of interest. This was a busy exhibition and could have done with a little more space to fit all the viewers a little more comfortably. I saw much of this in the 1990s when I was living in the North West but they are always worth repeat viewings. 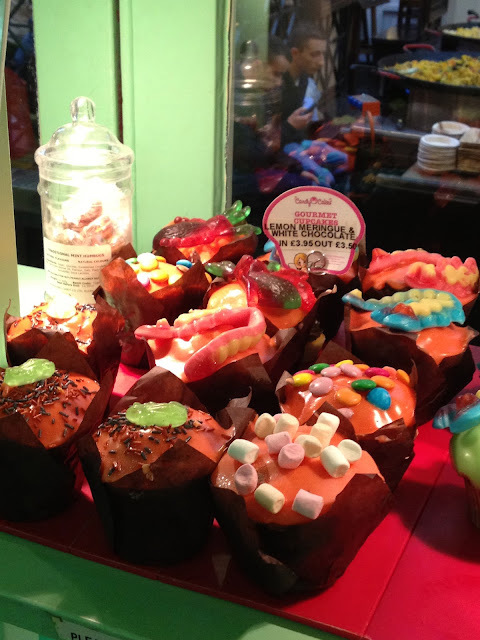 Covent garden next and the Apple store- birthday present for my bro and a few pics of the busy shops and eateries. The Moomin store was beyond cute. Back to Russell Square and Bloomsbury park fountain by night. My cultural tank has been topped up. And Jessie's giveaway is still running here for 2 Mama Said Sew FQs. Jessie, or Messy Jesse as you may know her, has just opened Sew and Quilt and she has plans to stock it with a wonderful dolly mixture selection of pretty prints with familiar fabrics like Liberty Bloomsbury pastels and Aneela's Cherry Christmas, plus a touch of nostalgia with vintage bedlinen bundles and Aunt Grace style 1930s repro prints. Jessy has only just started getting stock in and she has given me a little preview info that the new Pam Kitty Love Collection is coming very soon. You can see these darling prints in use at Nanette's blog Frieda's Hive- a lovely place to visit for a bit of vintage style and Nanette is a friend of Pam's so well placed to use her prints in the most perfect way possible. 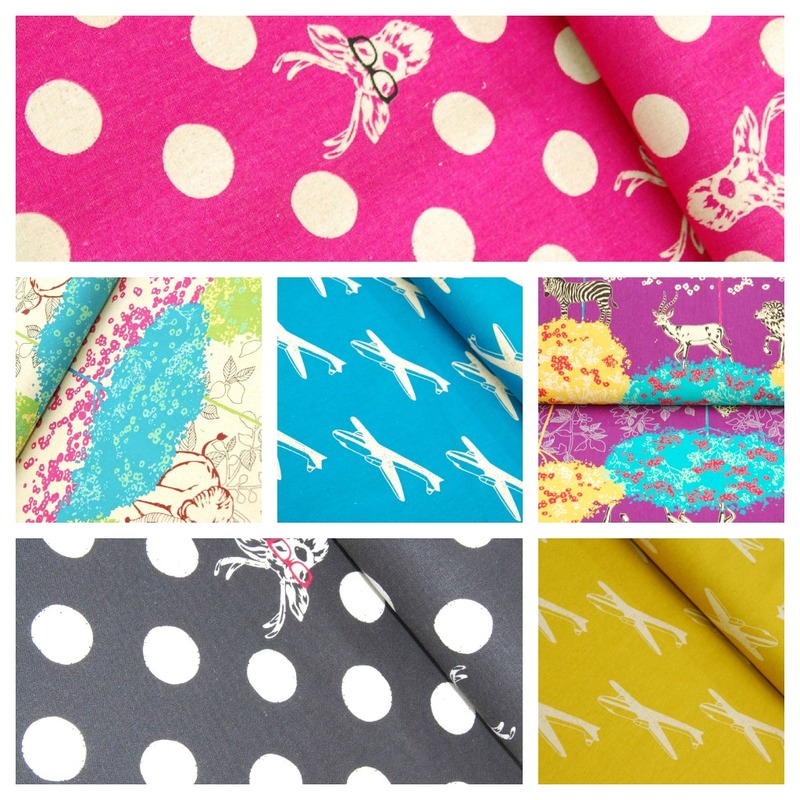 One of my current favs in stock right now at Sew and Quilt are a selection of Mama Said Sew prints, including these texty lovelies. 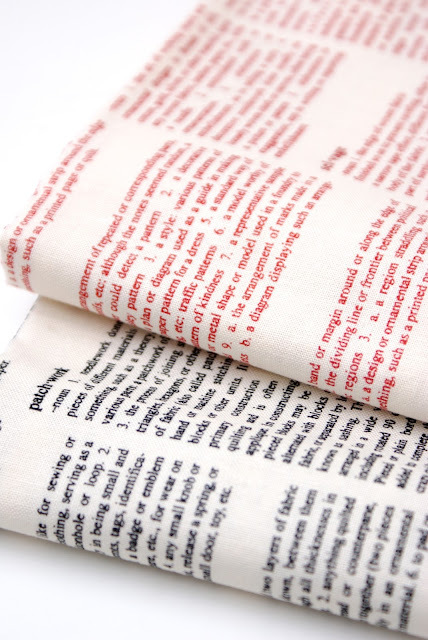 I can never have enough of text prints like these and the last Sweetwater text print like this in the Authentic collection, became a hard to find must have for texty print lovers. And look, here they are again, 2 fat Quarters all bundled up and ready to be won! For your first entry-leave a comment suggesting what you would you like Jessie to stock? Think vintage retro fabric lines or even actual vintage as well as other modern fabric lines- what are you looking for that you can't find in the UK or Europe. Please make sure your email is available in your profile or your comment- I need to be able o pass your details on to Jessie- no email no win. You have till Wed 31st 6.00am GMT to enter. I am looking forward to reading your recommendations! 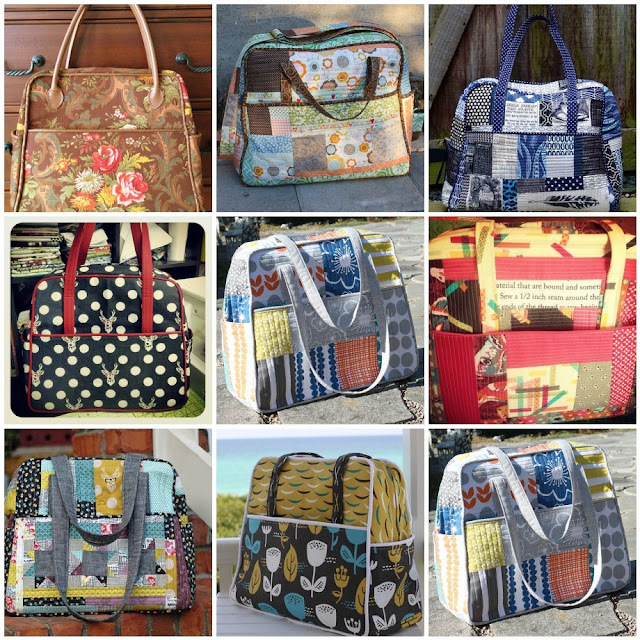 Crazes sweep through online quilting and sewing every now and again and it is hard to resist being swept along wit Low Volume, Farmers Wife blocks, Washi dresses and recently Weekender bags. I found these on Flickr, a huge variety of bags (click links below to take each bag to its maker) all using the same Amy Butler pattern. 1. Amy Butler Weekender Bag, 2. IMG_0966, 3. Quilted Weekender Bag, 4. Ta-da! Weekender done! #sewingsummit, 5. Weekender Bag Complete!, 6. Ok I'm off....the children have turned into wild maniacs too which is making me think I will miss them a little less - ha ha!, 7. Amy Butler Weekender Bag, 8. Finished Weekender Bag!, 9. Weekender Bag Complete! A lot of the appeal is the challenge of mastering the pattern, whether it is the piping or the zipper or the interfacing. I am tempted, although I think it is some of the fabrics and quilt as you go effects that really pull me in. The new Echino Decoro 2012 fabric features in a couple of the mosaic bags and it is especially suited for bag making being a little heavier linen/cotton blend and the saturated colour makes the bag easy to find and hard to leave behind. I do love the boldness of Echino prints, the deer and frames are my favourites, but whichever you choose they all seem to work together. Eternal maker is stocking a big selection of these prints as well as essential bag hardware- bag base feet bag handles, magnetic clips, interfacing, in fact all that you will need for a weekender or many other bags, There is a "Great Getaway Bag' in Lisa Lam's Bag Making Bible, and I may use that to make a capacious sturdy bag- slightly bigger than a Weekender. It also uses fusible fleece as the main stabiliser and I find that a failsafe product- unlike blogger which is playing silly bugg*rs with me at the moment. If like Marci you have made the Weekender and have any tips, do share! Everything I have been working on has been small recently, sometimes too small and the seam ripper and I have been keeping close company. After years of the worst contract that I could possibly have ever negotiated it was time to ditch my old phone and enter the iphone world, and to keep it safe in my bag I needed a case. I found some great tutorials at this blog erinerickson.com. I used the iphone sleeve and the ear buds pouch. They are easy, straightforward tutorials, but do check the size of your phone against the pattern. Each model seems to change dimensions, I have 4s and I unpicked my seams for 1/4'' and squeezed it in eventually. I tweaked the pouch a tiny bit- rounded the top corners, a side tab and elastic/button closure with a glorious vintage button that I have been saving for the right purpose. The fabric scrap came from a special tiny Flickr swap with a farmer in USA with vitnage scraps from me and vintage scraps from him and canine print was a treasure. I cut a sliver off my Center City Los Angeles Uptown, I am saving the rest for a Tova, just 2 meters will make a size small. I also used Robert Kaufman Quilter's Linen which is a very useable grey blender print and despite the name it is 100% quilter's cotton weight. The ear buds case is Field Study Mind's Eye in Toast- just shows how those big prints also work small. 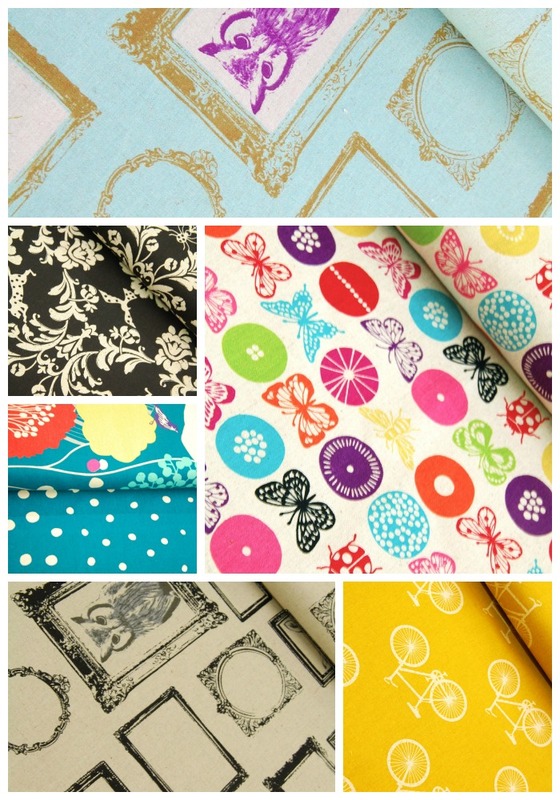 All the new fabrics are from he every helpful Annie at Village Haberdashery. No surprises there! You can share your favourite childhood book in the comments for a touch of nostalgia. I am still drowning in sewing teeny tiny things and preparing new projects. I had to get some Centre City whilst Annie was stocking up- I think this is going to be a super hot print!- Uptown Los Angeles. It comes in a range of colour variations but this is my favourite. I have two metres which is enough for a small size Tova. It is paired with grey Quilter's linen and Mind's Eye in toast from Field Study- all available at Village Haberdashery. I am making a phone and ear buds case set from these using the vintage dogs scrap that came from a flickr swap. And then, when the dust has settled on all the other sewing going on here, I will be making a Feather Bed quilt for the sofa. I am starting to plan my pillow talk swap- this is my first fabric pull- I am at the pondering stage where I hum and ha and think about what goes where, no commitment just yet. And I know what I am doing with these but I can't tell yet, Liberty scraps from Jo and light linen for my Liberty scrap tutorial. Justine is selling the Kaufmann Essex linens in her new Simply Solids shop if you are looking for a similar look. Sorry things have been a little quiet, October is a busy month, normality will resume soon. 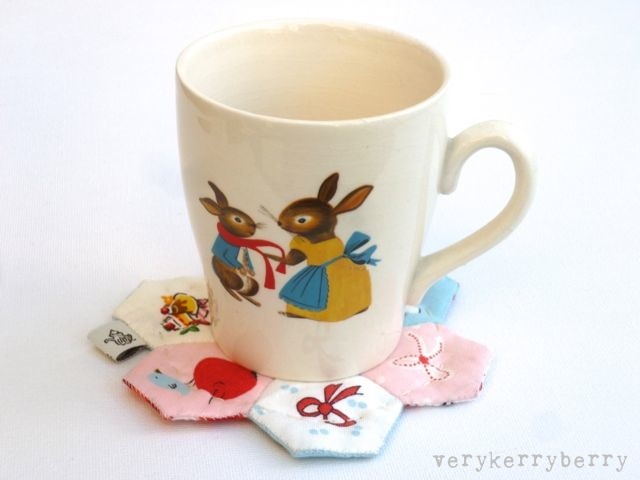 Or if you prefer, a hexie mug mat/coaster. I used a mix of modern fabrics for this project, I like to tell a little story with my fabric choices! 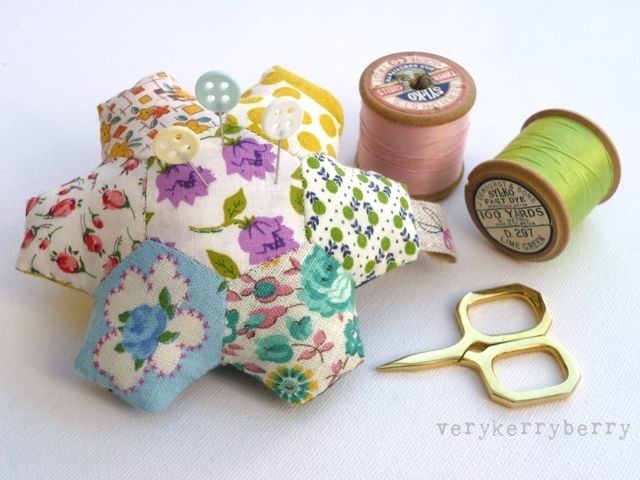 Both pretty projects are made with simple hand-sewing stitches and would make lovely gifts. 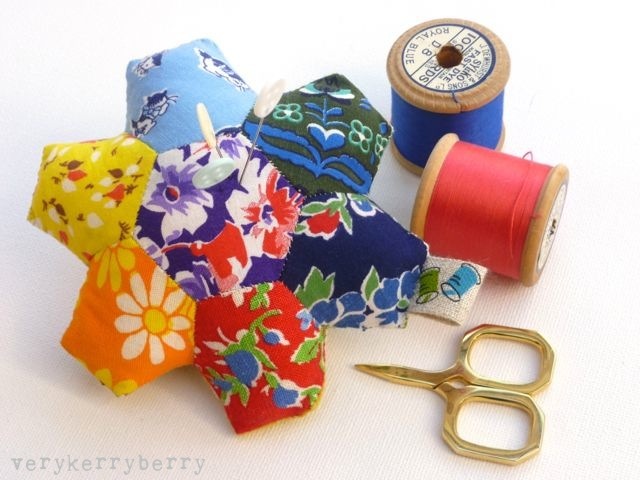 I will be providing a selection of fabric scrap bags including some wonderful vintage scraps from my stash along with the die cut hexagon paper templates, stuffing/wadding and thread. 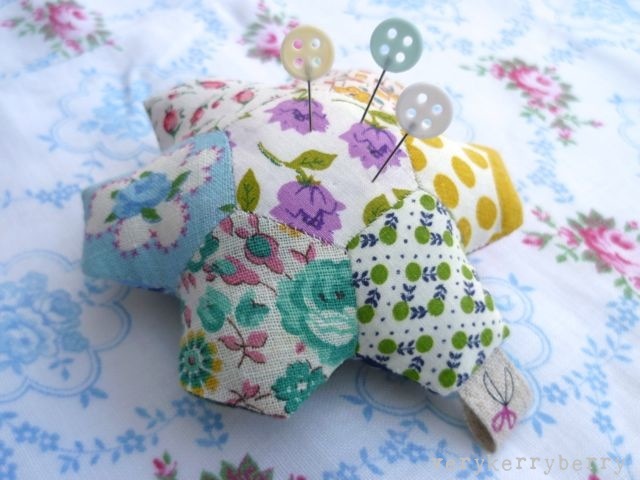 All you will need is basic sewing supplies- sharp scissors for cutting fabric and thread, needle and pins. For those comfortable using a sewing machine, Mary Emmens is also running a class for zip purses, 18th October. You can contact Laurel and Dan at Arrietty to book your place on any Arrietty classes here and here or ring 01392 276215. Can't make it? 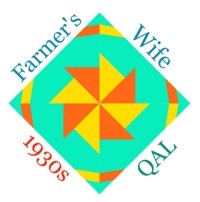 There is always a whole extended weekend of sewing in London Fat Quarterly Retreat- tickets on sale now and I will be teaching again! More details on that very soon but I can hint that if you have ever wanted to try clothes sewing a beginner's class will be on offer! It will be bigger than last year with more tutors and activities- I can't wait! As soon as I saw this spools block I just knew this was the one. 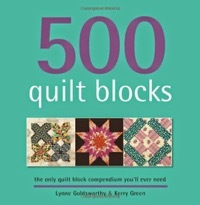 I love spools block, conquering the Y intersection seams in my first Ringo Pie block was part of my quilting journey and my love of paper piecing. I knew I wanted my favourite Kumiko Fujita ruler print, ( you can find some here). I have it in 4 colour ways- one for each spool and I wanted vintage prints for the spool centres- many of these came from swaps with the lovely Chase. Leila wanted 6" finished blocks for a sampler quilt she is planning so this block is small but it was intricate with 16 Y seams! I drew the block on freezer paper- you can see the book diagram which gives block proportions and also a picture of the assembled block reverse side which is most helpful. I am using the same book to inspire me for Pillow talk 9 swap. I have an amazing partner, and I am hoping that this block will do the trick. I plan for 9 of these and you can see, Y seams again so I need to get on with it!